Prime decorative labels play a major role in selling your product. The design, the materials and print quality are reflective of your brand and, as they sit on a crowded store shelf, they are quickly being compared to the competition's packaging. To print the highest quality labels, flexographic label converters are moving to HD Flexo printing to produce the boldest and sharpest label images possible on a flexo press. When you hear HD quality you're probably thinking high-definition television. Much like high-def TV technology increased the clarity of our TV picture, HD Flexo plates are vastly improving print quality in labels. Using Esko's plate making software, the plate making process essentially creates flexographic printing plates that print at the same quality as gravure and offset printing. You'll get more vibrant colors, stronger solids and smoother vignettes. The labels will print sharper images and text with better definition of the screening dots. We've see the biggest benefit of this type of printing with cosmetic and health & beauty labels because they usually include human faces which can be difficult to print with flexo plates. It also makes a big difference in image quality for food designs and other labels that contain detailed artwork. Let's take a look at the difference between the old flexo process and the new HD system below. Notice the smooth edges on the letters and the rounder and clearer dots on the HD Flexo? Here's an example of the difference you'll see with artwork that shows faces. When we need information about a product we want to purchase, most of us instinctively reach for Google and do a quick search on our computer, or more often, our smart phone or tablet. Google serves up more results than any other search engine and companies need to be found in searches to be successful. Recently Google put a lot of websites in a bit of a panic when they announced that they were changing their search algorithms, that mathematical formula they use to decide which sites are more relevant to your search and are then served up in your results. Google uses these to decide whether your company shows up on page 1 or page 100. The new algorithms measure a web site's mobile responsiveness or how it is viewed on a mobile device. If it meets the new guidelines, it will be ranked higher and be found sooner. If not, you probably move down. Basically, if your site didn't adjust for mobile it could be harder for customers to find your business online. The trend towards mobile browsing and shopping has been on the rise for years now and recently has reached a point where you can't ignore it. Today more people use search engines on their mobile devies than they do on PCs. We wanted to share this information with you because a lot of our label customers are small businesses with eCommerce websites and it's something we're experiencing first hand. Almost exactly five years ago we started our eCommerce site, Go-Label.com, to sell our stock blank labels, printers and other labeling accessories. This gave our customers a way to order labels right when they needed them, and with a credit card which sped up the transaction. 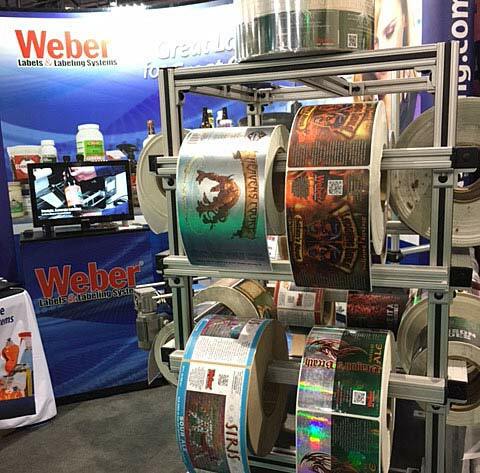 At the time Weber was just excited to give people the option to purchase labels online, but now we're finding more and more of our visitors are using mobile devices to browse the Go-Label site. People are making better use of their time by doing their product research while on public transportation or getting quick answers while in a meeting by jumping online. And now we're responding to the way they want to shop and the way they now browse by launching a more responsive, mobile-friendly Go-Label.com. Be sure to take a look at our newly redesigned site! It changes it's design depending on the device or type of computer you are using. And to celebrate our fifth birthday and the launch of this new site, we're have a special offer. 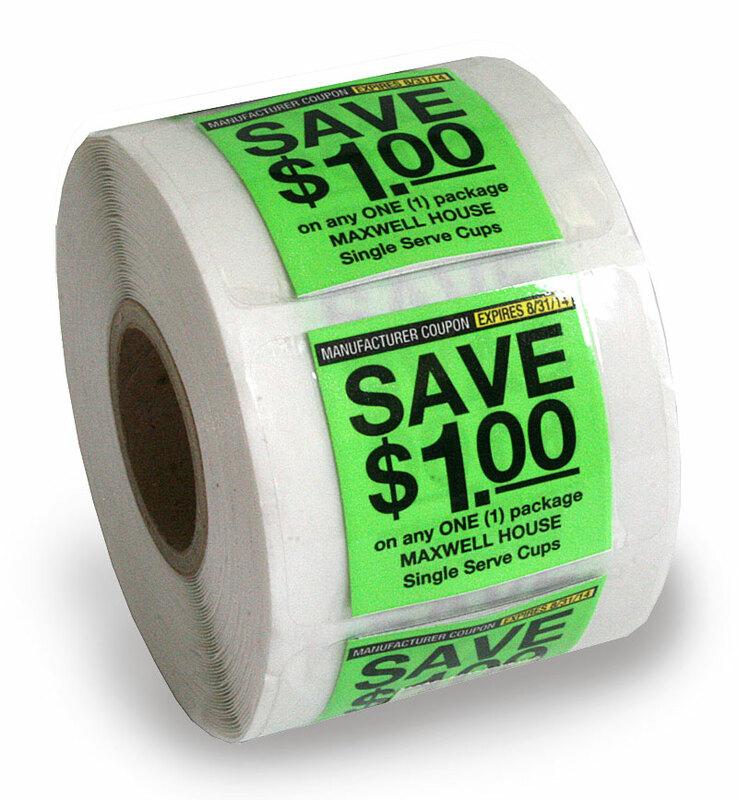 Use the code newsite10 to get 10% off your next labeling supplies order. 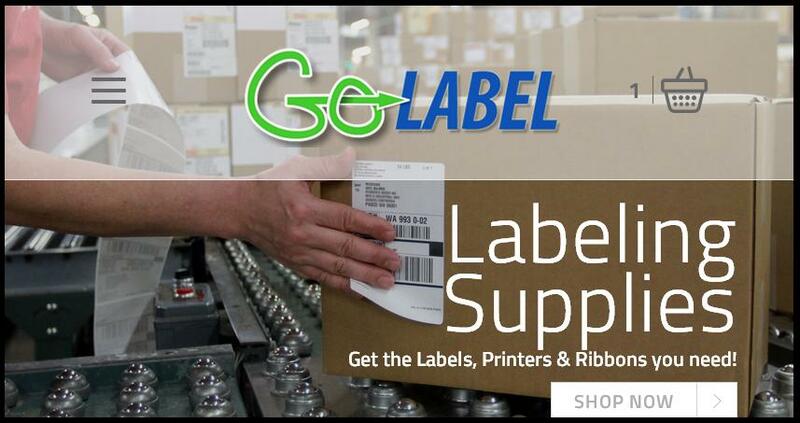 Go-Label has great products, it's easy to use, and it has the best prices for hundreds of items. Use the promo code to buy labels, printers or accessories now through May 31st 2015. If you enjoy fresh juice like I do, then you've probably noticed a lot more options lately. From the crowded shelves at Whole Foods to the new juice bars popping up around town there seem to be new companies with new flavors every day. The local juice bars are starting to venture into bottling and distribution while established brands are growing beyond their regional Whole Foods locations and becoming available nationally. As the competition grows between juice brands, the question asked is how do you make your product stand above the others? We thought you'd be interested in a few ways to make your juice label stick out in the crowd. Here are 6 tips for juice labels and packaging.